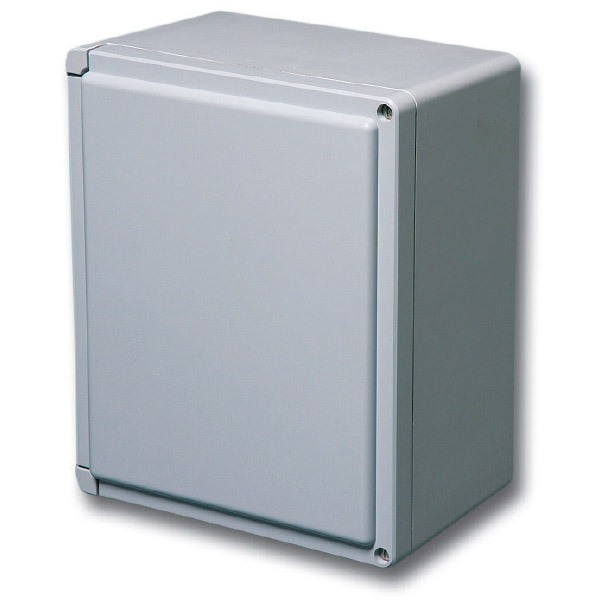 Centurion (CE) Series fiberglass-reinforced polyester enclosures have been designed for general electrical and electronic applications, as well as industrial and OEM applications requiring broader protection from environmental forces. 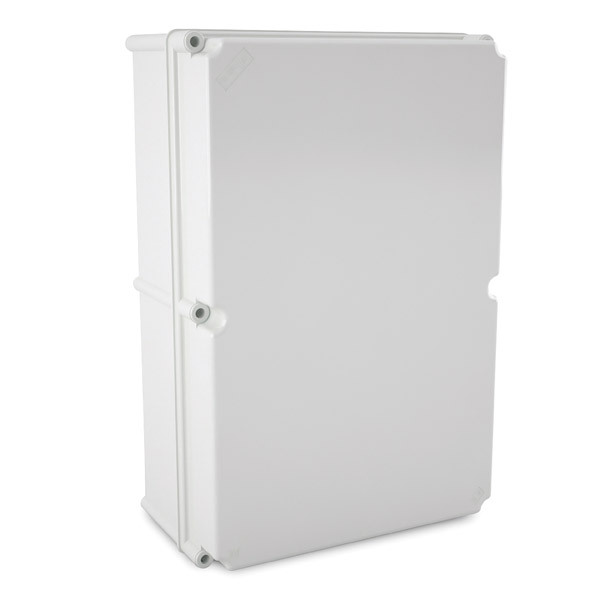 They offer a unique feature provided by a hidden hinge design and flush fitting cover, making Centurion Series enclosures ideal for applications such as control stations and operator interface units in both MRO and OEM environments. These enclosures, with their smooth, rounded edges and contemporary aesthetics, enhance the appearance of any instrument installation. They are especially well suited for applications with prominent visibility in both industrial and commercial applications. 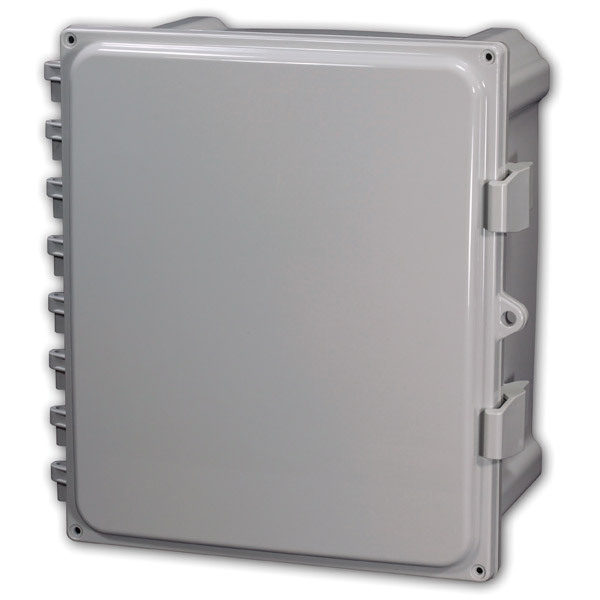 Of equal importance, Centurion Series enclosures are truly tough and durable in the most demanding uses. Both chemical resistance and watertight capabilities make them ideal across a broad spectrum of environmental installations. 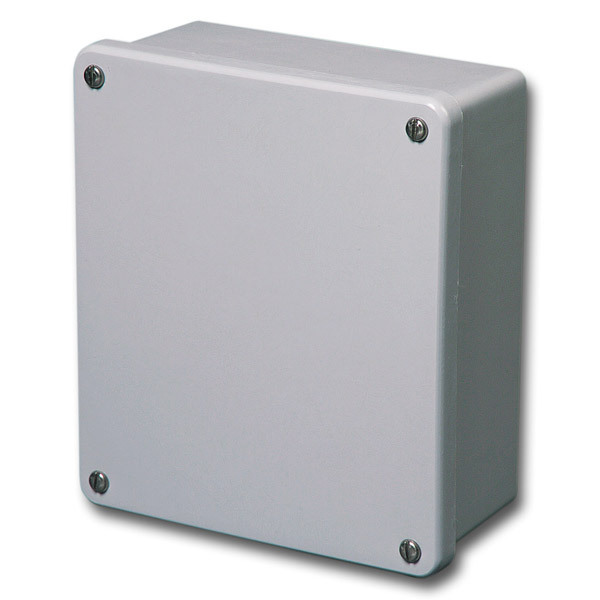 Commander (CO) Series slim-line enclosures are designed from fiberglass-reinforced polyester and feature a continuous polyurethane gasket that provides the critically reliable, long-term protection of a complete environmental seal. The Commander Series offers an all-polycarbonate product with blank covers and a choice of one-or-two-hole pushbutton openings for both 22mm and 30mm hardware. 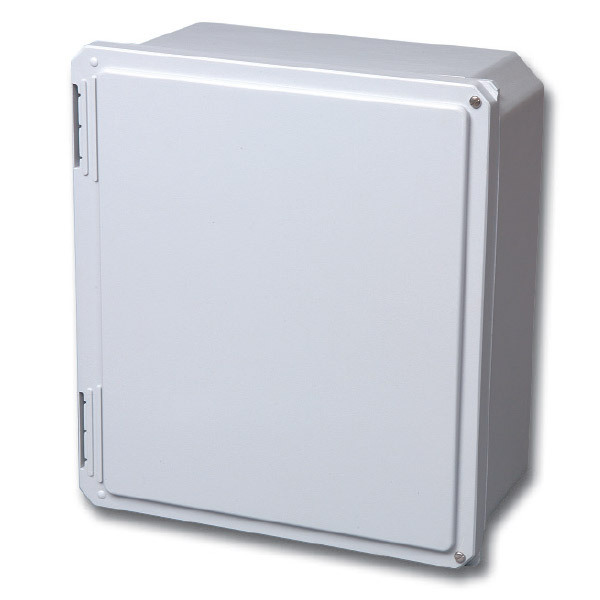 These enclosures include the external flush wall design, unobstructed sidewalls internally, polymer cover screws, watertight seal and other standard features of the Commander Series. The first style is a flush cover for unobstructed enclosure sides and a continuous cover gasket producing a watertight seal. Attributes include soft, rounded edges and virtually no pocket areas to trap dust or debris. 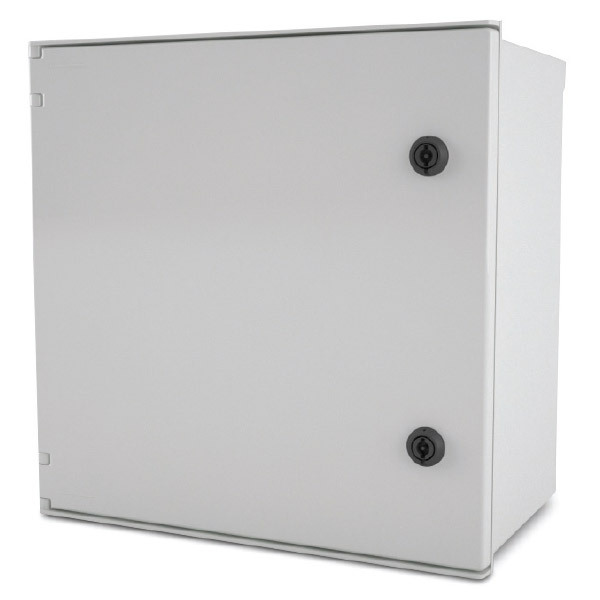 These enclosures feature a mounting foot option versus bosses for a mounted back panel. The second style offers a lift-off overhang cover design with molded-in panel mount inserts. Both versions of the Commander Series enclosures feature a slim style with flush sidewalls. Both also include captive stainless steel cover screws. DuraShield (DU) Series enclosures are designed for rugged, durable performance in both commercial and industrial indoor and outdoor environments such as mining, oil, gas, wastewater treatment, and petro-chem. This fiberglass-reinforced polyester product was developed with a low profile design and shallow depth. A simplified mounting system accommodates a direct-to-wall mounting, leaving unobstructed top, bottom and sides for dense mounting requirements. 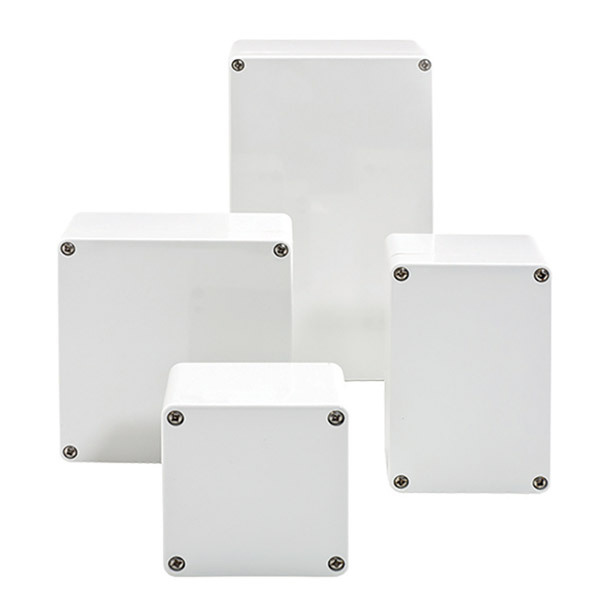 Because of their pleasing aesthetics and flush cover design, DuraShield Series enclosures are highly valued in high-end electronic applications such as wireless communications and operator interfaces. A poured-in-place polyurethane gasket ensures a rain-tight, water-tight and submersible rating. DuraShield Enclosures are an exceptional blending of stylistic beauty and rugged endurance. The Heartland (AH) Series are high performance, polycarbonate enclosures applicable for heavy industrial conditions, but with a refined style suitable for commercial, industrial and OEM design applications. The polycarbonate resin in the Heartland Series attained the best available “F1” rating, having passed critical tests for UV exposure and water immersion. 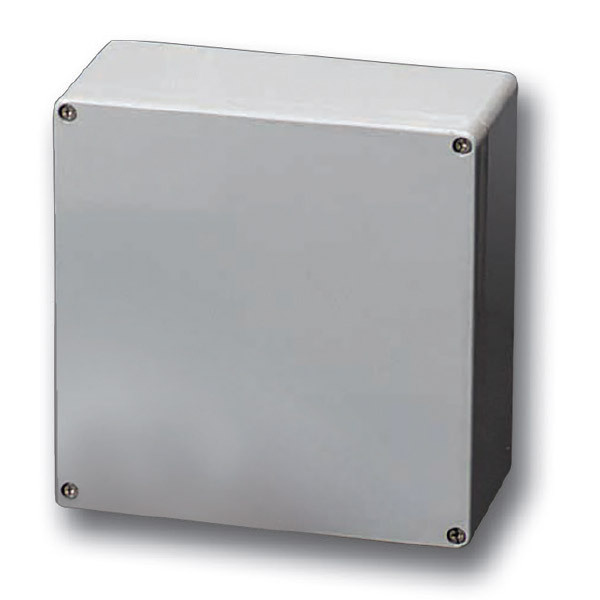 Heartland Series enclosures are rain-tight and watertight rated for use in both interior and exterior applications. Material ratings, as well as product ratings, assure the user that polycarbonate is designed to perform, without adverse affects, in cold weather applications. Of significant protective value: corrosion-resistant polycarbonate can be effectively used across a wide range of aggressive environments. 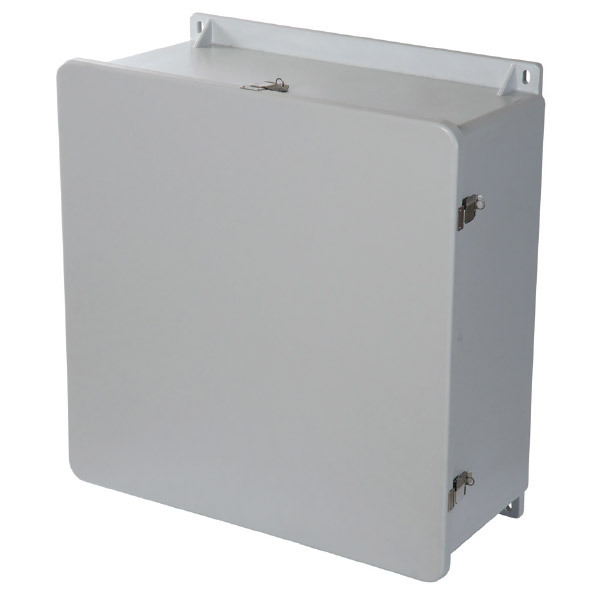 MachoBox (M) Series enclosures are expanded-size junction boxes made of fiberglass-reinforced polyester, featuring integral mounting flanges and designed to be tough, tough, tough! MachoBox enclosures are ideal for rugged outdoor environments but also very suitable for indoor mountings where chemical wash-down, dust and aggressive atmospheres are natural threats to all enclosures. 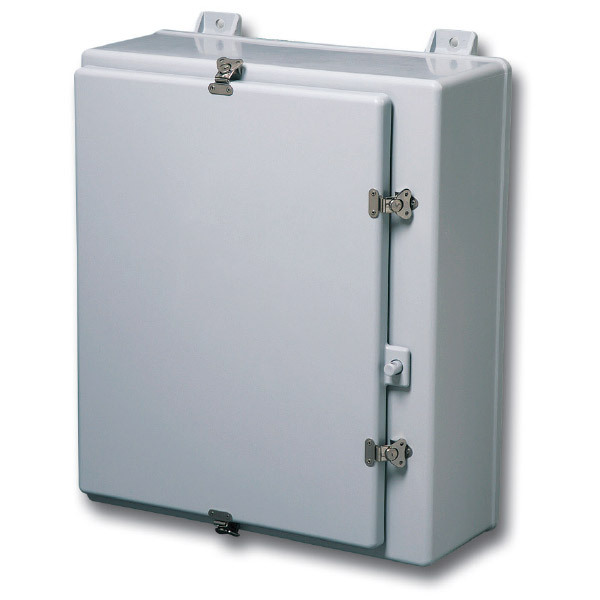 A standard overhang cover design is available in a hinged with padlock configuration. All sizes are 20” or greater in length and width. Threaded brass inserts for fixed rear panel mounting are standard as is a continuously poured polyurethane gasket to ensure a full, reliable environmental seal. We offer a wide variety of accessories to complement our enclosure offering. From vents to conduit fittings, our accessories are designed to maintain the original enclosure ratings once installed.